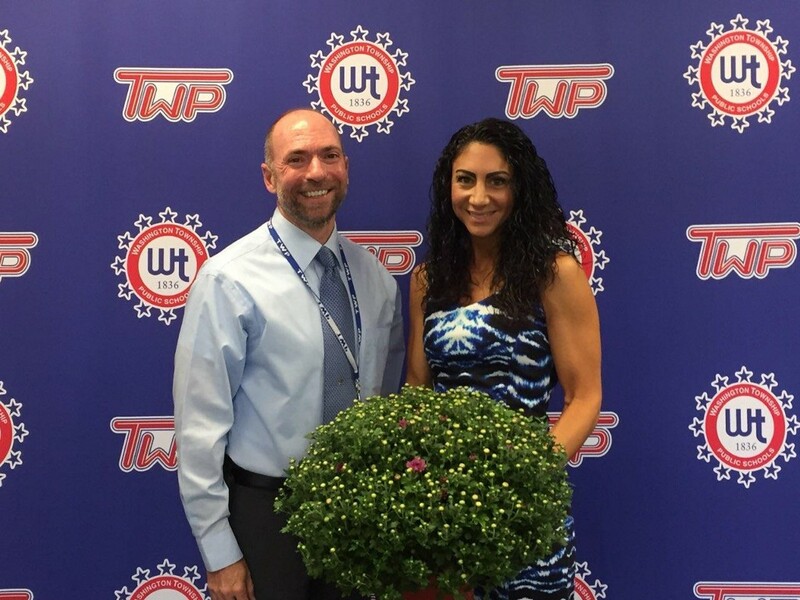 Special to The Sun: Wedgwood Elementary School teacher and 2017–18 Gloucester County Teacher of the Year Domenick Renzi (left) and 2018–19 Gloucester County Teacher of the Year Vanessa Paccione at the recent Gloucester County Curriculum Consortium. The whirlwind year of 2017–18 Gloucester County Teacher of the Year Domenick Renzi, a basic skills mathematics teacher at Wedgwood Elementary School who was also a state teacher of the year finalist, came to an official end, as Renzi shared his experiences with members of the Gloucester County Curriculum Consortium who gathered in Washington Township on Sept. 14. 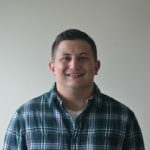 As part of his presentation, Renzi shared a PowerPoint “picture walk,” recapping his year of distinction that included participation in a fall leadership conference, a presentation at the NJEA convention and various seminars and speaking engagements. The county’s new teacher of the year, Vanessa Paccione, an art teacher from the Swedesboro-Woolwich School District, also was introduced and addressed the group.